Any of you that have been with me a while know how much I loooove rice. I imagine anyone from the Low Country areas of South Carolina & Georgia or the bayous of Louisiana, Mississippi & Alabama can relate due to the rice plantations in our histories. Anywho, I thought I'd share with you the Top 10 Rice Recipes at South Your Mouth! Enjoy your blog and pinterest. You are hilarious! Think I want to try the Pilau. I find similarities in different cultures recipes very interesting, and the Pilau recipe is similar to a traditional mexican recipe for arroz con polo. Maybe you have this, but here is how it goes. (I never measure, sorry) I saute 1/2 to 1 full bag of long grain white rice in enough vegetable oil to moisten all the rice until is browned and nutty. Add diced tomatoes, onions, jalapenos, garlic, salt, pepper, cumin, and chicken broth to cover all. You will need some shredded chicken, so you can boil your own or be lazy like me and use rotissere from the store with canned broth. Reduce heat, cover and cook until liquid absorbed. Best not peak too often, stir only once. Maybe 20-25 minutes. Add chicken and stir in some frozen peas and carrots after rice is done. Traditionally, you' d have refried beans or black beans and corn tortillas. I prefer a salad as a side. Thanks so much for all the rice recipes. 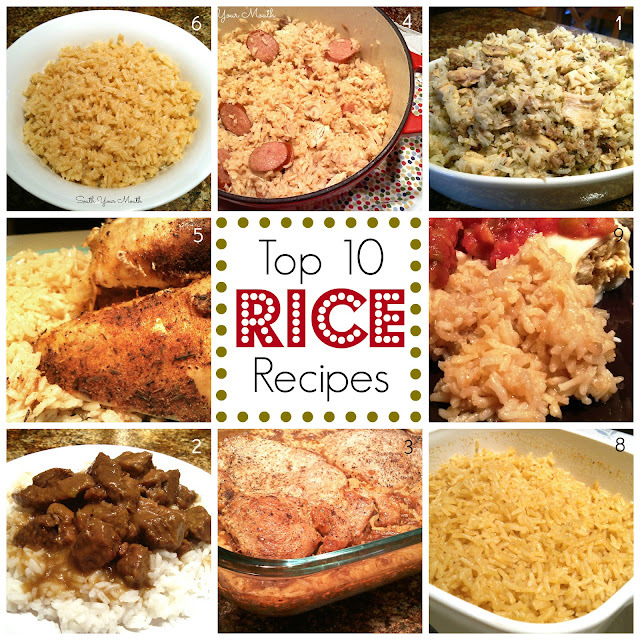 I've been looking for some better recipes for rice and these look great - I'm trying the Mexican rice tonight! I made this tonight and it was a huge hit. Hubby saw the ingredients and insisted on making a double batch for left overs and I'm glad we did. Simple and tasty, made exactly as written. We will definitely be making this on a routine basis! LOVE IT! Thanks Mandy!